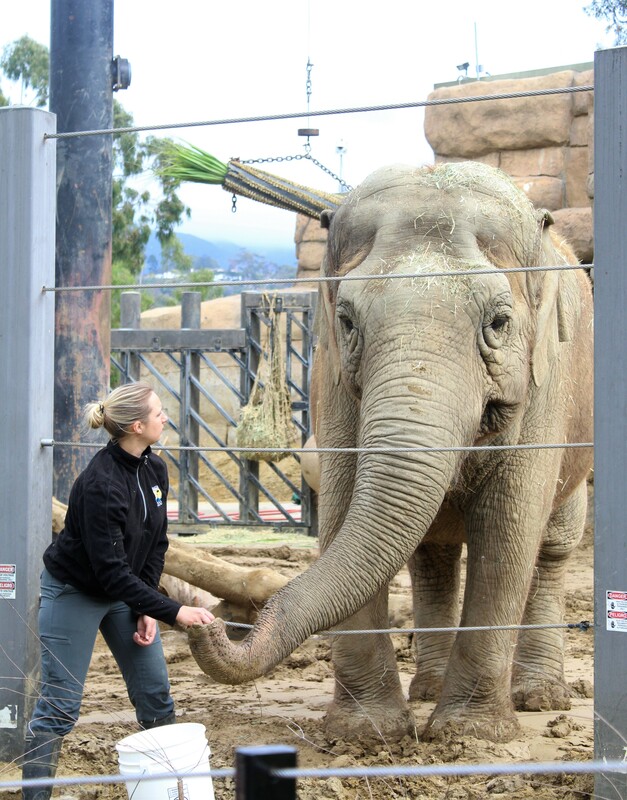 Recently, I had the pleasure of getting to visit the Santa Barbara Zoo in Santa Barbara, CA. I had never gone before, but always enjoy going to zoos with my two-year-old, so I was very excited! Let me just say, this zoo was the absolute perfect zoo for a family with young kids. It’s not too small, nor is it so large that it is exhausting to navigate. With many mid-sized zoos, you don’t get to see many exotic animals. At Santa Barbara Zoo however, they have many zoo animal favorites: lions, giraffes, elephants, gorillas, and countless more. Santa Barbara Zoo is definitely one of the most beautiful zoos I’ve had the pleasure of visiting. Up on a hill, it overlooks the ocean, where you can see gorillas to your left and sailboats to your right. It is filled with beautiful greenery, palm trees, and feels completely closed off from the buildings on the outside. We went on an overcast day, which felt particularly magical. There are also lots of beautiful walkways, which my little one had a ball running around on! There are many zoo keeper presentations and animal feedings throughout the day, so no matter what time of day you decide to visit the zoo you can have the chance to see one. The day we were there, they had one for meerkats, elephants, and penguins. It is fun to get a more personal look at the zoo’s animals! My daughter’s absolute favorite was seeing the elephant talk and feeding. She always loves making elephant sounds and pointing their pictures out in books, so to see them in real life was a dream come true for her. This train ride is definitely worth getting the train tickets for! It’s about 15 minutes long, and you get to circle around the border of the zoo and take in all the beautiful surrounding Santa Barbara scenery. Not only that, but the train slows down near major exhibits, such as the lions and giraffes, and gives an in-depth talk about the zoo’s animals, their names, and how long they’ve been at the Santa Barbara Zoo. My absolute favorite part of visitng the Santa Barbara Zoo was feeding the giraffes! You can purchase tickets to have several pieces of lettuce and get up close to feed these beautiful animals! With their 13-inch-long tongues, they are able to grab the lettuce easily out of your hand. My daughter had so much fun doing this. Giraffes are my favorite animal, so it was a dream come true! Moana Party – Ideas for Having a Viewing Party!